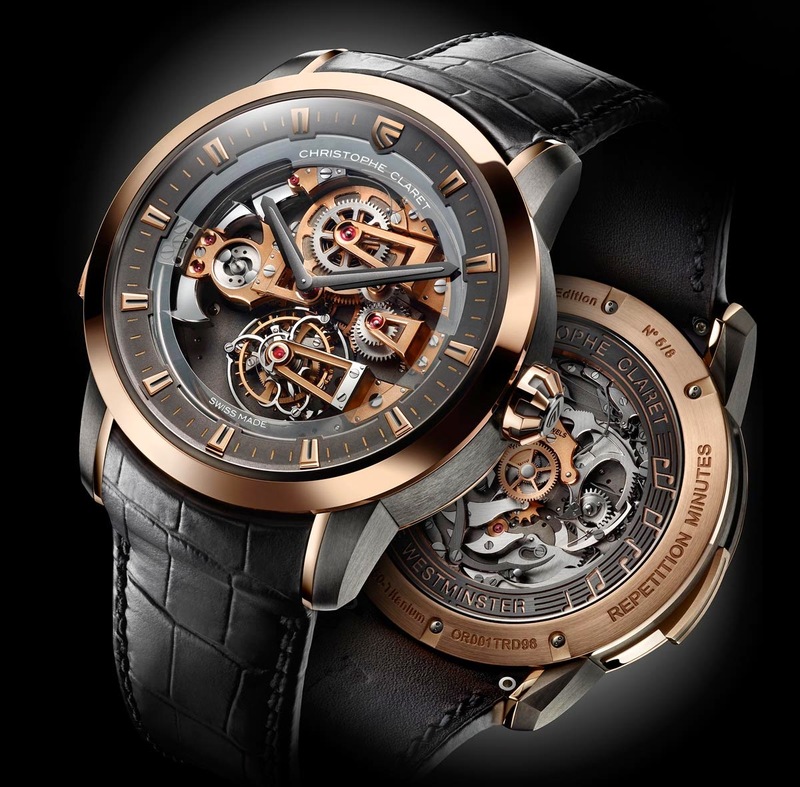 One of the finalists at the upcoming Grand Prix d'Horlogerie de Genève (GPHG) 2014 in the exclusive category for best "Striking" timepieces, Christophe Claret's Soprano features two major complications: a 60-second tourbillon and 4-note minute repeater striking Westminster Quarters on patented cathedral gongs. 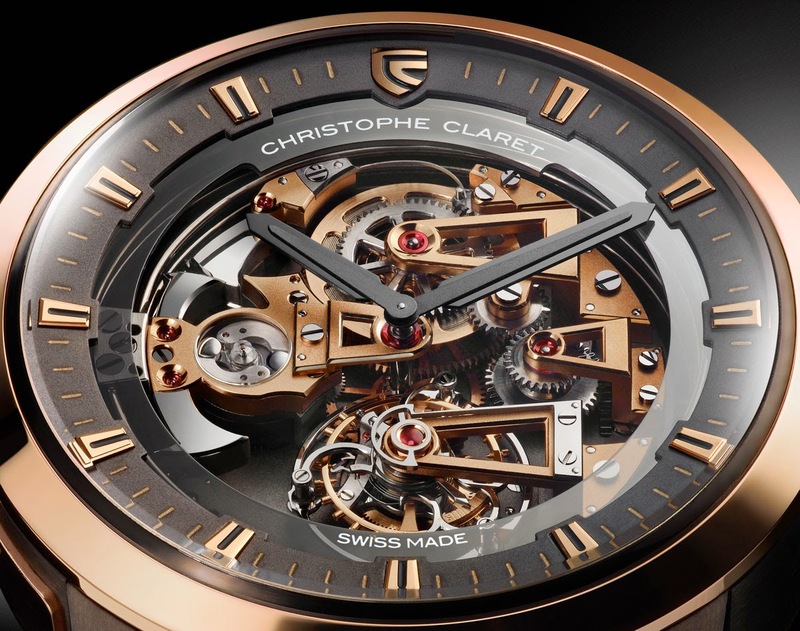 The first movement developed by Christophe Claret after starting his own manufacture over 20 years ago was a minute repeater so the French watchmaker clearly has a special passion for this complication. The Soprano surprises for the apparent contrast between traditional haute horlogerie complications and the contemporary design with the adoption of technical metals like PVD titanium. The minute repeater is extremely difficult to realise not only for the complexity of the mechanism but also because it is essential to achieve a sound that is clear, loud and musically harmonious. 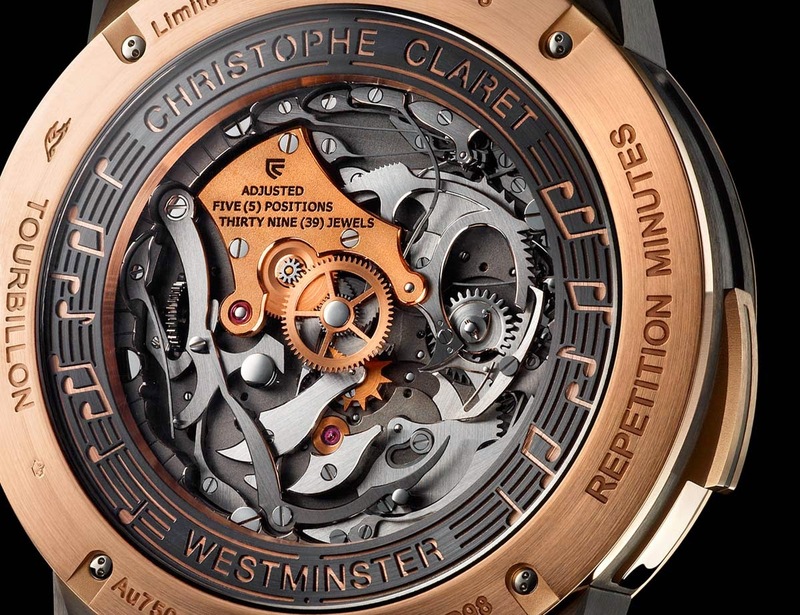 As Christophe Claret explains, one of the keys for successfully developing an excellent minute repeater is ensuring that the sound can escape easily. With this in mind the Soprano was designed with three key features: Cathedral gongs, an open dial and a titanium case band. The four cathedral gongs, each circling the movement twice, provide a fuller and richer sound. 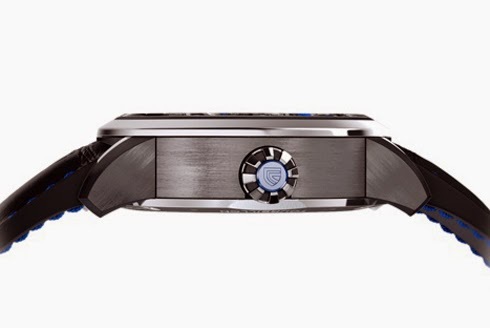 The open dial minimises barriers to sound while allowing the wearer to fully appreciate the finely finished movement and the operation of the striking mechanism. While the bezel and the case back of the Soprano are made of gold, the central caseband is in titanium for its superior sound transmission qualities. In fact, where gold tends to deaden sound, titanium effectively transmits sound from the interior of the case to the exterior. When the repeater slide is activated, the chimes sound the number of hours with C (Do), the deepest note, followed by the Westminster Quarters’ melody for the quarter hours (unless fewer than 15 minutes after the hour) and then the number of minutes after the last quarter hour. For the Soprano, Christophe Claret combined the striking complication to a tourbillon escapement for both its kinetic beauty and its superior chronometric performance. The 60-second tourbillon carriage of the Soprano is on full view through the open dial at 6 o’clock and is supported by a single arm stepped bridge in the characteristic Charles X style. 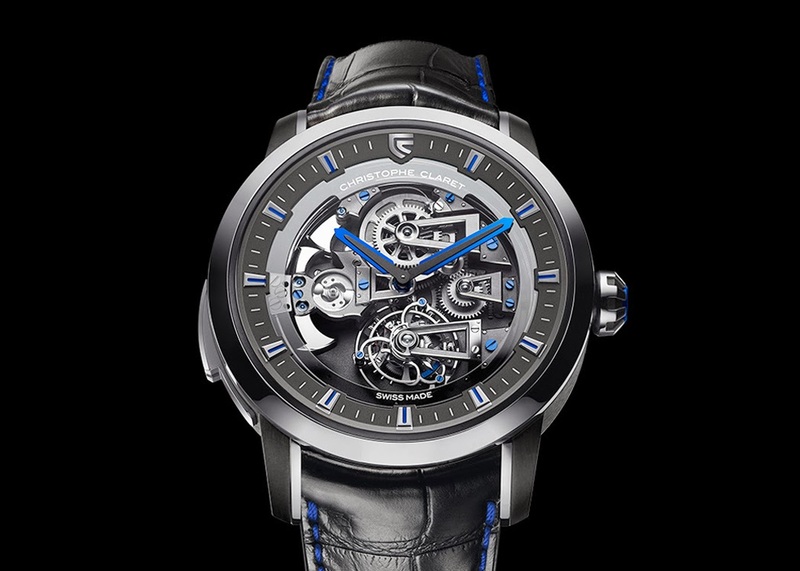 The manufacture movement beats at 21,600 vibrations per hour and offers 72 hours of power reserve. A transparent mainspring barrel under 12 o’clock allows both the barrel to be seen turning while being wound and the approximate power reserve to be deduced by the state-of-wind of the visible mainspring. The repeater’s inertia governor at 3 o’clock has a clear sapphire cover so it can be seen silently spinning as it regulates the speed of the chiming gongs. 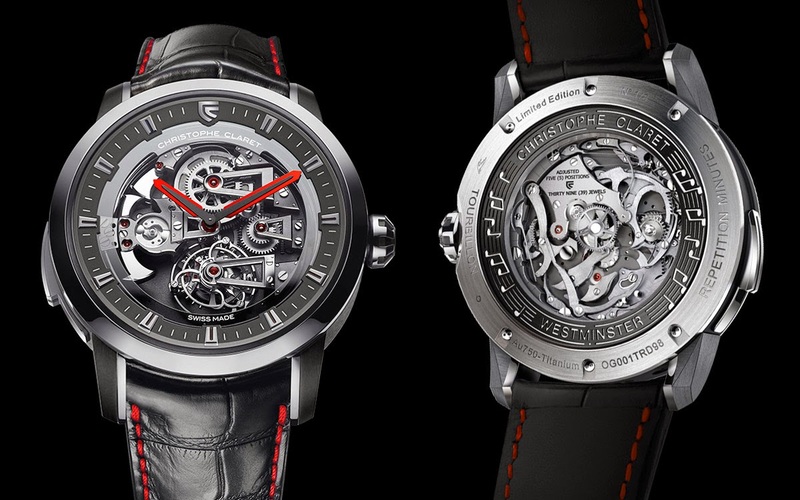 The 45 mm round case is available in three limited editions of 8 pieces each: red gold and anthracite PVD titanium with anthracite and black spinal hands, white gold and anthracite PVD titanium with black and ruby spinal hands, and white gold and anthracite PVD titanium with black and blue spinal hands. Prices starts from 468,000 Swiss Francs without taxes. Do not miss the video below showing the Soprano in action. 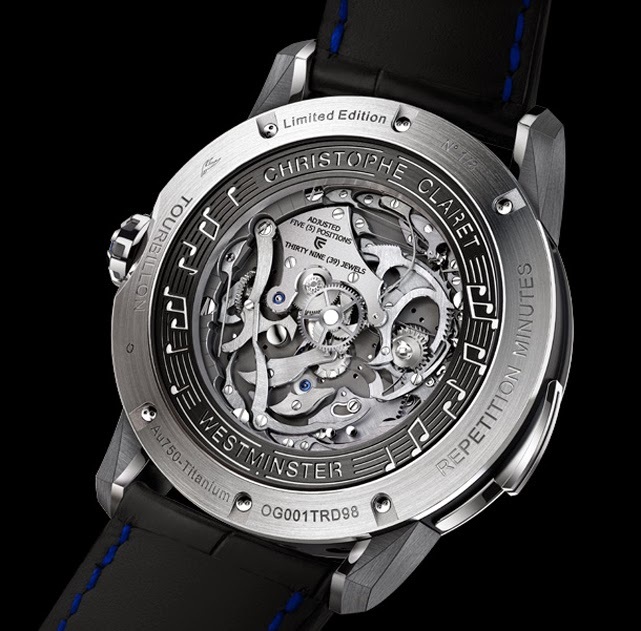 One of the finalists at the upcoming Grand Prix d'Horlogerie de Genève (GPHG) 2014 in the exclusive category for best "Striking" timepieces, Christophe Claret's Soprano features two major complications: a 60-second tourbillon and 4-note minute repeater striking Westminster Quarters on patented cathedral gongs. The 45 mm round case is available in three limited editions of 8 pieces each. Prices starts from 468,000 Swiss Francs without taxes.